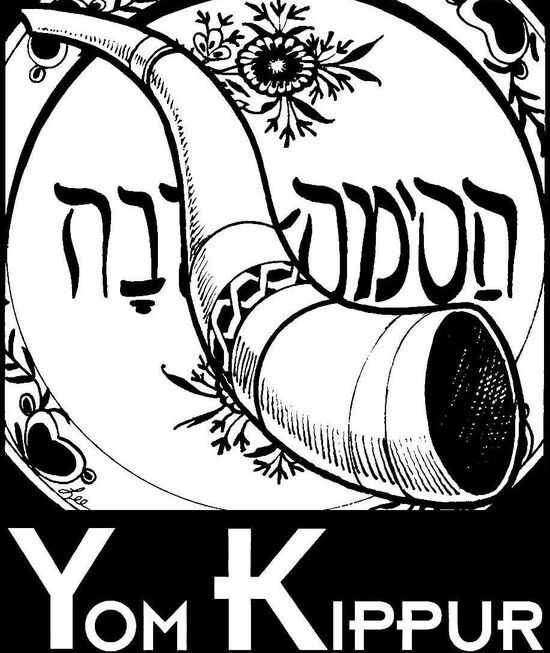 Yom Kippur is known as the Day of Atonement in the Jewish faith, a time of somber reflection and fasting that falls on the tenth day after Rosh Hashanah, the observance of the Jewish New Year. The word ‘Kippur’ means to cover, and it’s believed that on this day, God will cover, or blot out, or erase, the sins of the Jewish nation. Yom Kippur is one of the most important and sacred days of the Jewish religion. Those of Jewish faith don’t work on Yom Kippur, for it’s written that the day will be forever a day of rest. The ten days that fall between the first day of Tishri, the first month of a new year, and the tenth, are called the Days of Awe. It is believed that the day was set apart from all others by the prophet Moses, a tradition that continued every year in Jerusalem until the Temple was destroyed in 70 A.D. This period of time is meant for self-reflection and change, one in which the Jewish people recognize faults or sins and then resolve to change them. It’s a time for forgiveness and prayers, which ends on Yom Kippur, the day in which a ceremony of atonement is observed and honored. In ancient times, the Jewish people would sacrifice animals, on whom their sins were loaded, most often in the form of goats, doves or cattle. It was from this tradition that the term ‘scape-goat’ was first coined. These animals, destined to bear the sins of man, were then sacrificed to God in atonement for human sins and shortcomings. Some believe that the practice of atonement originated during the exile of the Jewish nation in Babylon, but nevertheless, Jews from the United States and around the world continue to honor the sacred observances of Yom Kippur with prayers and memorials for the dead. Children whose parents have died often speak their names and offer contributions to various charities in their behalf and in homes and temples around America, and the globe, lights are lit and kept burning throughout the night as a symbolic recognition of the immortality of departed souls. During the evening before the Day of Atonement, or Yom Kippur, a prayer called the Kol Nidre is recited three times, followed by what is known as the most somber moment of the entire year, when all pray for forgiveness and atonement for past sins and transgressions. It is traditional that all observing Jews refrain from eating or drinking anything on Yom Kippur, which requires a 25 hour fasting period beginning on sunset on the evening before and ending after nightfall on the day of Yom Kippur. The faithful also refrain from the use of cosmetics and deodorants as well as the practice against wearing any leather on that most sacred of days. Indeed, Yom Kippur, the most holy of religious observances, has been passed down for thousands of years, generation after generation, among those of the Jewish faith, unchanging despite the passage of time.